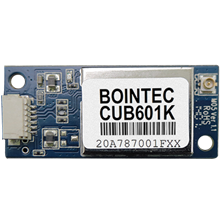 Bointec CUB601K is a WLAN module supporting IEEE 802.11 b/g/n standards with 6-pin connector supporting USB 2.0 interface.This is a low cost compact WLAN module designed in products with embedded system for the wireless connectivity. 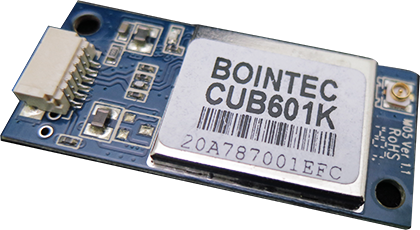 This Module is designed to operate in 2.4GHz ISM frequency band, it applies a highly integrated MAC/BBP and RF single chip RT3070 with 150Mbps PHY rate supporting. It fully complies with IEEE802.11n draft 3.0 and IEEE802.11b/g feature.